Did malaria drug play a role in JBLM soldier’s killing of 16 Afghans? The possible use of a controversial malaria drug will be raised at an appeals hearing Tuesday for Staff Sgt. 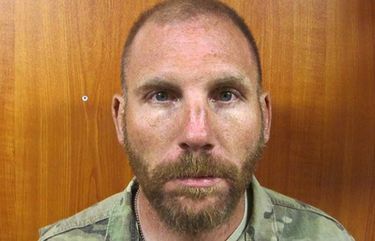 Robert Bales, convicted of murdering 16 Afghan men, women and children. The U.S. Army Court of Criminal Appeals in Northern Virginia comes four years after Bales was sentenced at Joint Base Lewis-McChord (JBLM) in Western Washington for one of the most notorious U.S. war crimes of recent decades. Early on March 12, 2012, he twice left a small base in southern Afghanistan to kill men, women and children in two Kandahar province villages. Defense attorneys now hope the drug issue can persuade a three-judge panel to lessen his sentence. But Bales has never recalled just what malaria medications he took, according to Browne. A retired Army officer who headed up the prosecution team said he never saw any documentation in Bales’ medical records that he took mefloquine in Iraq or Afghanistan. “There is zero evidence that Bales was on mefloquine,” said retired Lt. Col. Jay Morse, who is now in private practice but plans to attend Tuesday’s hearing as an observer. Appeals are automatic for Army criminal convictions. The three-judge panel has wide-ranging powers to adjust a sentence, or even throw one out. Bales’ hearing will be held at Fort Belvoir, Virginia. He is serving his sentence at Fort Leavenworth, in Kansas. Defense attorneys have raised another issue in the appeal that involves Afghan witnesses, who flew to the United States to testify against Bales at JBLM. Bales’ lawyers allege that some of those witnesses’ ties to bomb-making were not disclosed, according to Browne. Bales, 44, was deployed three times to Iraq, then to Afghanistan during more than a decade of Army service at JBLM. His last tour ended as he was taken into custody on the morning he carried out the village attacks. Pretrial hearings in 2012 featured emotional video testimony from Afghan survivors of the attacks. In June 2013, Bales pleaded guilty to murder in exchange for the withdrawal of the death penalty. But Morse said in an interview Thursday that document was not considered to be evidence of Bales’ use of the drug, and that Browne failed — when ordered by the military court — to offer any other documentation of Bales’ use of the drug. Prosecutors then were able to gain a ruling that prohibited mefloquine from being brought up during an August hearing that ended in Bales receiving the life sentence. Later, in an unsuccessful bid for clemency, Bales did not mention possible use of mefloquine. He did cite post-traumatic stress disorder, traumatic brain injury and combat stresses as well as alcohol, sleeping pills and steroids that he took while deployed as possible factors. Hal Bernton: 206-464-2581 or hbernton@seattletimes.com. Seattle Times staff reporter Mike Carter and Sacramento Bee reporter Adam Ashton contributed to this report.